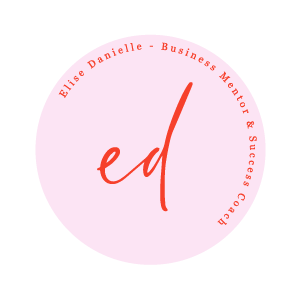 I want to show you how INSANELY possible it is to launch and grow a business that fulfils your purpose and creates the profit you need to have the freedom that you desire. When I started my first online business I learned the hard way what it really takes to start and scale a profitable business fast. I got stuck focusing on doing #allthethings what weren’t getting me the results I wanted; downloading every freebie I could can get my hands on, spending weeks perfecting my website and opt-in and after launching my blood, sweat (and many) tears out into the world, feeling totally defeated by the lack of soul mate clients pouring in. And once I started to sign up clients, I felt like I had NO idea how or why they signed up with me, and every month I’d struggle to replicate my results and hit the level of income and impact I KNEW I was meant to deliver. In only my sixth week into this business I was able to quit my part-time job and hit the income level I’d been trying to achieve for YEARS. I was fully booked by week eight and since then we’ve scaled to over six figures in just TEN MONTHS! Most importantly, I’ve been able to do the work I know I’ve been put on this planet to do, whilst travelling and just plain enjoying my life without burning myself out or doing anything that doesn’t feel aligned with who I am or what I desire. When you learn how to implement the right Mindset coupled with magnetising Messaging AND you implement strategies to get Momentum in your business, results happen FAST! Because let’s get real, if we can do it, you can too! To make more moola! Much more moola. You’re ready to live the life you truly desire, on your terms so that you can have the flexibility to work from home, take that trip to Mexico and serve your people in a massive way because you are so supported. Use my signature framework to build your business with the right Mindset, Messaging and Momentum to get the results you desire! You need a mentor and a coach who has been where you are and knows how to get you to where you want to be. If you show up, do the work and get the personalised support to make this framework work for you, you CAN have it all. I consider myself a PARTNER to my clients, I work closely with each and everyone of them. I’m here to truly help you build a business that works for you. Aka: I’m NOT just going to tell you how I built my business, we will design unique support, strategies and systems that work for YOU. Ready to create a business that brings you wild amounts of profit with a healthy dose of freedom in your life to match? Whether you’re in need of a concentrated injection of support or if you’re looking for a long term partner to set up and scale your business for wild success, you can choose your adventure below!